How many times have you searched for something online going as far as the 2nd or 3rd page of Google results? My guess is that it rarely happens. That is why SEO and the choice of proper keywords have become so important. Now imagine, scrolling on the phone’s app store – how far would you go? 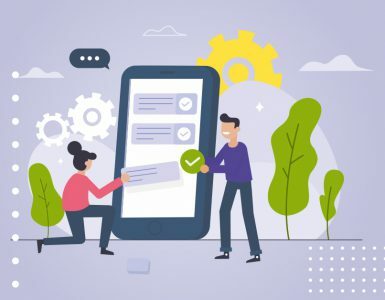 With over 2 million apps in the Apple and Google Play stores, we could not insist more on the importance of App Store Optimization. ASO is crucial to hitting the higher ranks in the search results and what’s great- it’s not even a rocket science! If you’re consistent and you focus on picking the right app keywords, your ASO can soon start showing results. 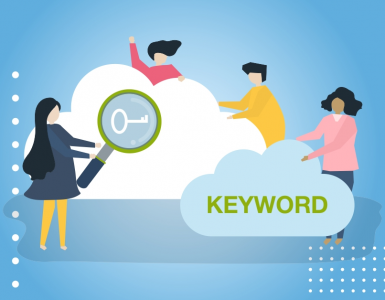 Picking the right keywords – how does a good keyword look like? – just as in the case of the baby, think of keywords that best describe your app and its features. – you would want your app to be associated with words everyone is searching for. – last but not least, you should aim for low levels of competition – this is extremely important especially in the case of new apps. We would suggest focusing on low competition rather than high volume. Placing the keywords – where to use them? The short answer is everywhere! You want them in your app name, in your description, in your dedicated keywords field, and even in your updates! Of course, you want to be very careful and strategically place the most important keywords in your title. Try to create an engaging sentence that would best reflect what your app does, while placing the most important keywords at the beginning. Do not worry about the sentence being short -be concise! You’ll have more space to go into details in the description. The app description, in fact, has different impact in each of the two app stores. While Google Play takes the keywords from the description into account, Apple does not -at least not officially. The truth is, however, they do have an impact on the SEO. It is therefore very important to use strong, localized keywords for both stores. Pay special attention to the first 255 characters (the first 3 lines), and use them to showcase your best features and CTA (Call to action). In both cases, feel free to use bullet points to list all your features and repeat the targeted keywords about 5 times each. 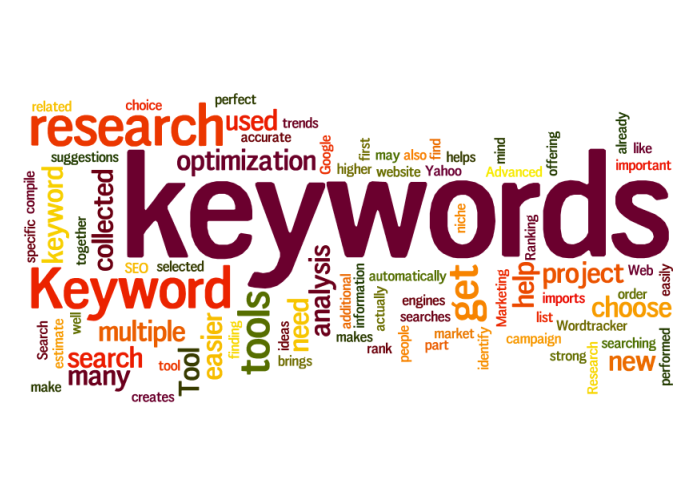 Finding the right keywords – the real challenge! Even though you certainly have great fantasy, coming up with a list of powerful keywords can be somewhat close to mission impossible! No worries though! Appkeywords.io is here to make it happen! Coming with auto-suggestions, it is certainly the best place to find inspiration. Auto-suggestions are basically all the keywords that your smartphone is suggesting to you once you start typing in the search box. These not only give you a lot of ideas for keywords, but they also have very high search volumes. Similarly, you can always benefit from the trending searches. Just as in the case of the suggestions, these have high volume of searches. If there happens to be a word that suits your app, you can benefit from its popularity for a period of time. Furthermore, you should always keep of track how your keywords are performing and adapt your strategy accordingly. Ideally, you would want to keep the keywords for which you’re ranking good and replace the ones for which you’re not ranking (despite trying hard). Competition monitoring – keep your radars high! It is always important to check and to monitor your competition. 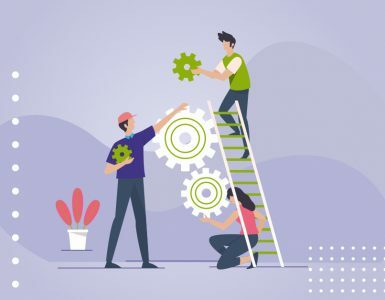 By screening their keywords tactics, you can, not only gain some inspiration, but you may even come up with clever ways on how to outrank them! Try to see what keywords are working for your competitors, and perhaps consider giving them a try! Localization – because everything feels more comfortable in your mother tongue! And yes, by that we don’t mean automatic translation! Let’s be honest, how many times have you laughed at pieces translated by automated software? Try to be genuine, work with local people or with native speakers to get the best feel of the local culture and adapt the wording as much as possible! Localization, if done properly is one of the best ways to attract users.